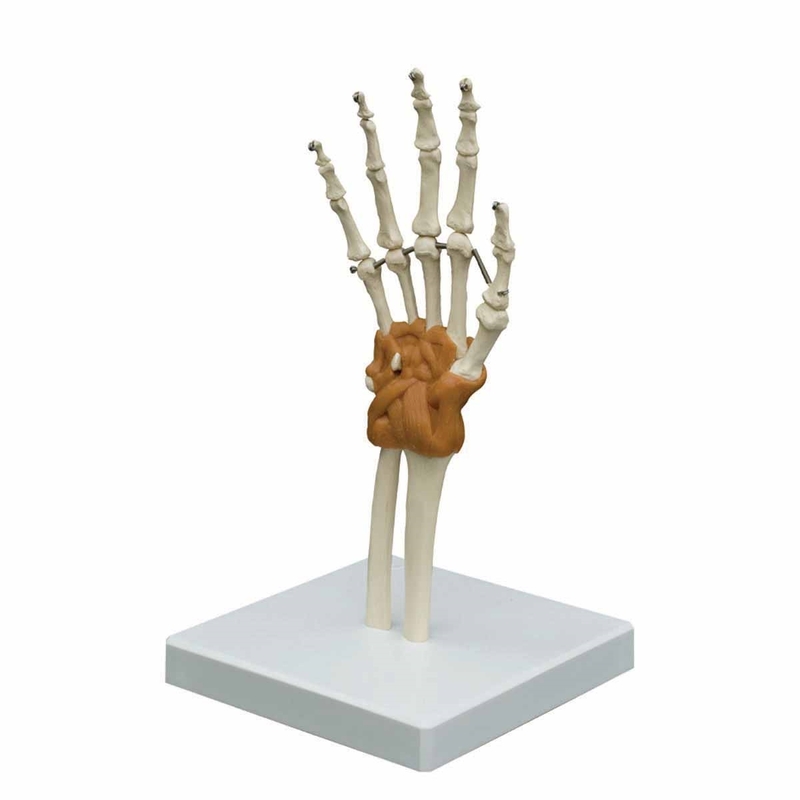 The 3B Scientific Flexible Hand Joint Model shows the bones of the right hand, hand ligaments and the lower arm. Stand included. The Flexible Hand Joint Model demonstrates stretching, bending, abduction, adduction, dorsal- and palmar flexion, radial- and ulnar abduction. The model comes complete with stand. Dimensions: 9.8" x 3.1" x 1.6"